Nature is a powerful force. Much of what we do on a daily basis involves fighting against the natural state of things. Cleaning the house, mowing the lawn, applying sunscreen, spraying insect repellent and shoveling snow in the driveway are all everyday examples of this fact. In response to this, many of the products and services that we buy and sell today are designed to help us in our daily fight against Mother Nature. Businesses invest thousands of dollars yearly to prevent the natural order of things when protecting their profits. One of the most significant obstacles that nature poses to many industries is rust and the process of oxidation. Businesses who manufacture, store and ship metal parts must take precautions to assure that their products don’t arrive at their destinations covered in rust. The most commonly used technology for preventing rust is VCI, or Volatile Corrosion Inhibitors. Businesses invest thousands of dollars yearly to prevent the natural order of things when protecting their profits. One of the most significant obstacles that nature poses to many industries is rust and the process of oxidation. Businesses who manufacture, store and ship metal parts must take precautions to assure that their products don’t arrive at their destinations covered in rust. The most commonly used technology for preventing rust is VCI, or Volatile Corrosion Inhibitors. Rust starts to develop when an electrolyte such as water, oxygen or even humidity touches a metal surface. During this contact, electrons from high energy areas in the metal travel in a loop to low energy areas. This process is known as corrosion, which leaves a layer of oxidation on the surface. This is an electro-chemical function by which metal returns back to its’ natural state of ore. There are several methods of corrosion prevention that are practiced, such as the use of desiccants or packing metal parts in a heavy grease. Desiccants are packets that absorb any moisture in an enclosed area which can prevent rust from forming. One of the major drawbacks to desiccants is that they have a finite amount of moisture that they will hold. Once they have reached their holding capacity, any remaining electrolytes are free to produce corrosion. There is also the danger of the desiccant packet itself holding moisture when touching the parts and causing corrosion at the point of contact. Packing metal parts in heavy grease can also be effective in preventing corrosion, but is labor intensive and frustrating to end-users who now have the task of removing this greasy layer from their new product. VCI products address this problem in a slightly different way. VCI compounds are impregnated into paper and poly sheeting or bags. When placed in an enclosed area such as bins, bags, boxes, etc., these compounds release molecules into the air that form a very thin microscopic layer over every exposed metal surface. Vapors travel into the smallest of recesses providing a very thorough coating that prevents electrolytes from coming into contact with the surface. These compounds are non-toxic and approved by the FDA for food and beverage containers. As long as the area containing metal parts is enclosed, the VCI materials should protect the parts from corrosion for as long as two years. If the area is opened and closed often, the VCI products should be replaced every year. The chemicals start to coat the surface immediately, however it may take up to 24 hours to fully protect some products. VCI products do have a few limitations however. Certain rare metals are not protected by the compound, and some can actually corrode more quickly when in contact with VCI. Also, assemblies containing optical systems or precision moving parts cannot be used with VCI materials. Exposure to heat will reduce the effectiveness of VCI, and direct sunlight will decompose them, as will the presence of strong alkalies or acids. Alloys containing more than 30 percent zinc or 9 percent lead must not be in contact with VCI products. Nature will continue to attempt to bring things to their natural state, however there are precautions that prove to be very effective in preventing the process of corrosion. 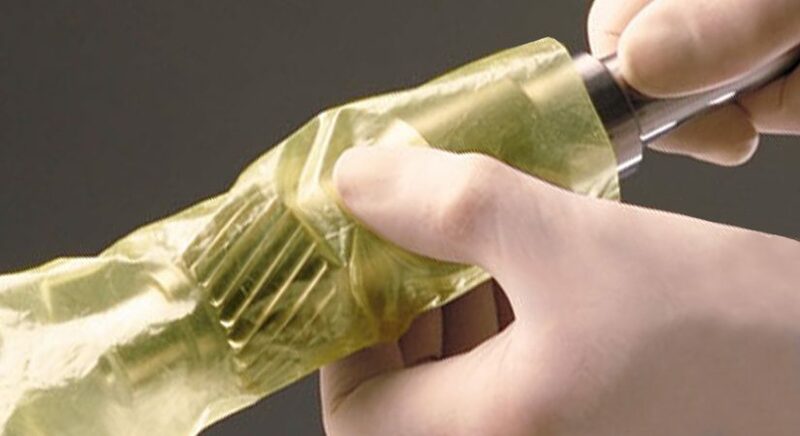 By using VCI poly bags, VCI paper sheets or rolls or similarly VCI treated materials, most metal parts will be protected for quite some time as long as they are properly sealed and packed. You will never beat Mother Nature, but if you play your cards right you can slow her down significantly. « Previous Post: Which Ice Melt Product Should You Be Using?